Self 1, 1999, dry pastel pigment, paper collage and wax on paper, W11" x H14". 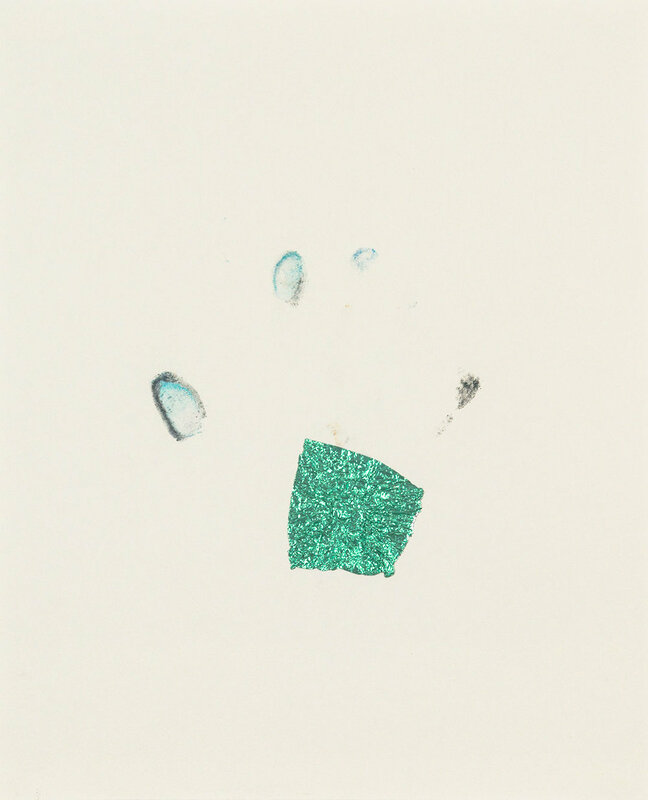 Self 2, 2001, dry pastel pigment and aluminum foil on paper, W9" x H12". Self 3, 1999, dry pastel pigment and hair, framed W12.25" x H15". Self 4, 2003, dry pastel pigment and aluminum foil, W9" x H12". 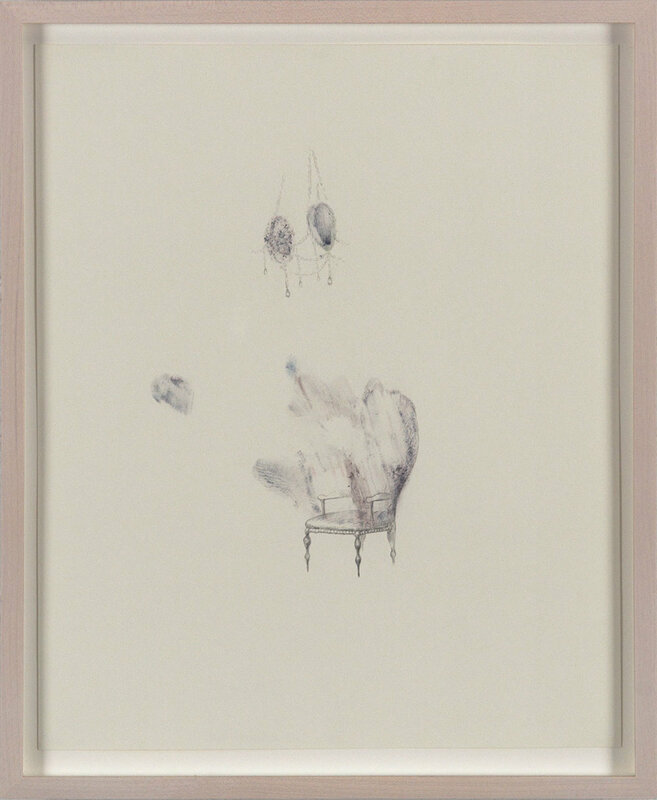 Self 5, 2005, dry pastel pigment and graphite, framed W12.25" x H15" x D0.5". Self 6, 2005, dry pastel pigment, aluminum foil and graphite, W11" x H14". Self 7, 2005, dry pastel pigment and tracing paper on Strathmore paper. Framed 12.25 x H15" x D0.5". 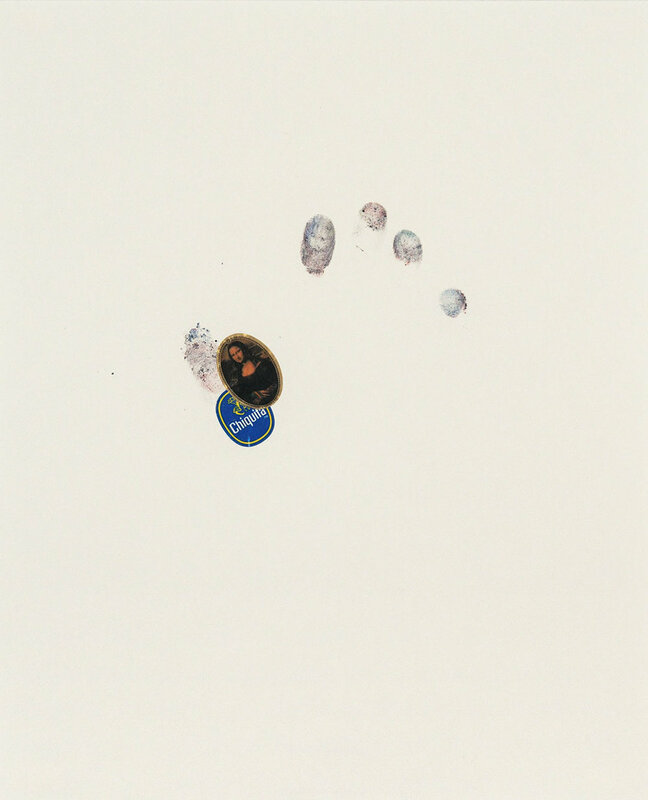 Self 8, 2005, dry pastel pigment and sticker on Strathmore paper. Framed 12.25 x H15" x D0.5". Self 7, 2005, dry pastel pigment and newsprint on Strathmore paper. W11" x H14"
Self 10, 2005, dry pastel pigment and tracing paper on Strathmore paper. Framed 12.25 x H15" x D0.5". Self 11, 2005, dry pastel pigment and newsprint on Strathmore paper. W11" x H14". Self 13, 2008, dry pastel pigment and newsprint on Strathmore paper. Framed 12.25 x H15" x D0.5". 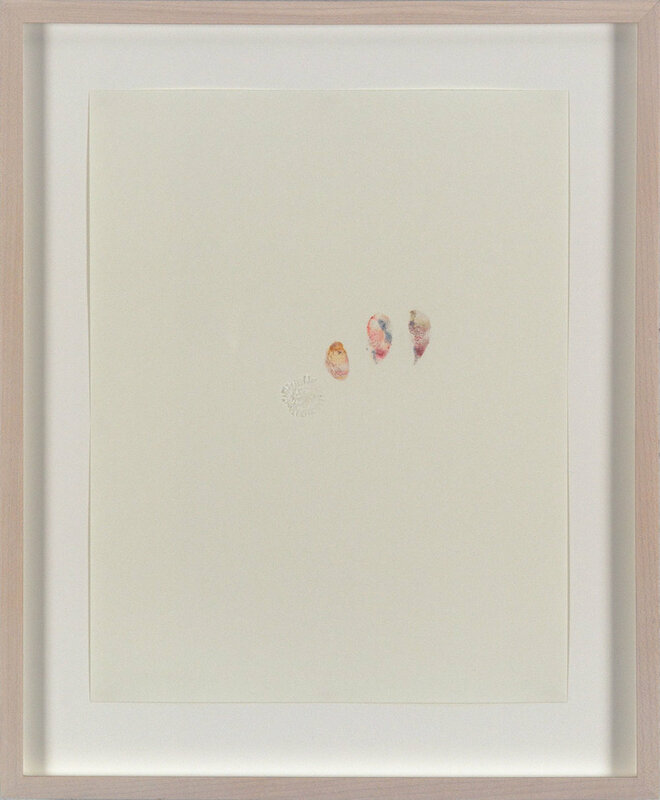 Self 15, 2008, dry pastel pigment and fruit stickers on Strathmore paper. W11" x H14". Self 16, 2008, dry pastel pigment and newsprint on Strathmore paper. Framed 12.25 x H15" x D0.5".